Progression in NOx and PM standards for switch locomotives (one of the regulated categories). Click to enlarge. The US Environmental Protection Agency (EPA) has finalized its Tier 3 and Tier 4 emissions standards for locomotives and marine diesel engines. Tier 3 emission standards will take effect in 2012, followed by Tier 4 in 2015. Sources of GHG abatement under EPA's ADAGE modeling. Click to enlarge. An analysis by the US Environmental Protection Agency (EPA) of the Lieberman-Warner Climate Security Act (S. 2191) currently pending before the full Senate concluded that under the act total US greenhouse gas (GHG) emissions are approximately 40% lower (~ 3,749 MtCO2e) than reference case emissions in 2030 (~11% below 1990 levels) and 56% lower (~ 6,030 MtCO2e) in 2050 (~25% below 1990 levels). These reductions would be achieved at a projected cost to GDP of between 0.9% ($238 billion) and 3.8% ($983 billion) lower in 2030 and between 2.4% ($1,012 billion) and 6.9% ($2,856 billion) lower in 2050 than in the Reference Scenario. That works out to a cost of about 0.06 to 0.16 percentage points per year from 2010 to 2050. Available for over 80 years Sugar gas now in news? History - before World War II, and during the high demand wartime period, biofuels were valued as a strategic alternative to imported oil. Wartime Germany experienced extreme oil shortages, and many energy innovations resulted. This include the powering of some of its vehicles using a blend of gasoline with alcohol fermented from potatoes, called Reichskraftsprit. In Britain, grain alcohol was blended with petrol by the Distillers Company Limited under the name Discol, and marketed through Esso's affiliate Cleveland. The process for making fuel from biomass feedstock used in the 1800's is basically the same one used today. It was the influences of the industrial magnates during the 1920's and 1930's on both the politics and economics of those times that created the foundation for our perceptions today. Nearly ANY source of complex fatty acid can be used to create biofuel. Early on, peanut oil, hemp oil, corn oil, and tallow were used as sources for the complex fatty acids used in the separation process. Currently, soybeans, rapeseed (or its cousin, canola oil), corn, recycled fryer oil, tallow, forest wastes, and sugar cane are common resources for the complex fatty acids and their by-product, biofuels. China syndrome may equal the entire world's CO2 production. While U.S. emissions have continued to drop since 2005, China's carbon usage keeps pace with its economic growth. At this pace China's emissions will reach 8 gigatons a year by 2030, which is equal to the entire world's CO2 production today. That's just the most stunning in a series of datapoints about the Chinese economy reported in a policy brief in the latest issue of the journal Science. Coal power has been driving the stunning, seven plus percent a year growth in China's economy. It's long been said that China was adding one new coal power plant per week to its grid. But the real news is worse: China is completing two new coal plants per week. Stockholders will elect directors and vote on proposals calling for the establishment of an independent panel that would report on which Dow products may cause or aggravate asthma and for the directors to issue a report on the pace and effectiveness of an environmental-remediation process being undertaken near and downstream from its headquarters. More than a century after Dow started dumping dioxins into the Tittabawassee River as it flowed past its mid-Michigan plant, the company and government regulators are still debating how to cleanse a swath of waters and wetlands that now reaches 50 miles to Lake Huron. Biochar is mostly inert, and is known to stay in the soil for thousands of years. It is also not subjected to the risk of being blown down in a hurricane, or cut down, or otherwise placed in a process for a more rapid return of carbon dioxide to the atmosphere. As a sequestration technology, biochar is simple, easy, and proven. Although sequestration alone might be enough of a reason to consider biochar, the benefits of biochar in agriculture are really the reason this solution is gaining momentum quickly. The use of biochar has been shown to increase water retention, microbial activity, uptake of minerals by plants, as well as continued deposition of healthy soil. Two new organizations have emerged that highlight the multi-faceted solution of biochar. * improve water quality by retaining agrochemicals. * cost-effective utilization of urban, agricultural and forest co products." Biochar begins to answer problems surrounding biodiversity, water purity, deforestation, hunger, and poverty. As we recognize the 'services' healthy soil can provide biochar continues to gain value as a strategy to mitigate many of these issues at the same time. "No one wants to be exposed to materials that are not supposed to be in water and are slated for medicinal purposes," Avisar notes. "The concentrations are low, but healthy it is not. There are other concerns such as the proliferation of remnants of antibiotics will increase the stamina of bacteria against them." Avisar noted that his research found traces of antibiotics and hormones and said his team is now testing groundwater for pharmaceutical substances. News reports in the U.S. also indicated that bottled-water consumers may also be exposed to the dangers, as water producers do not test for pharmaceuticals or take any action to filter them out of bottled water. There are currently no regulations governing acceptable quantities of medical material in water. The levels of the pharmaceuticals found both in the U.S. were low, but this does not negate the possibility of health and environmental effects. News network CNN quoted a senior pharmaceutical executive who estimated that even exposure to low concentrations of the drugs could have an adverse affect on health. EPA continues to speed release of Toxics Release Inventory (TRI) information to the public and to enhance data quality. For the first time since TRI's inception, all facilities that are required to submit data to TRI will be able to do so over the Internet, using the award-winning TRI-ME software. Companies will no longer have to mail reports on compact disks or paper to EPA, both of which consume more natural resources and slow release of information to the public. The Internet system also has quality checks built into the software, which will improve data quality. This year, companies are required to submit calendar year 2007 data to TRI by July 1, 2008. Facilities will be able to use the Internet to send information directly to EPA through our Central Data Exchange. The TRI-ME software was launched for 2001 TRI reports, and moved exclusively to compact discs for 2005 reports. For 2006 reports, in addition to the compact disc, an on-line version was also offered only in states participating in the TRI State Data Exchange. Delivering information to the public more quickly and improving data quality are two important goals being addressed in EPA's Dialogue on Access to Environmental Information. The Dialogue is designed to obtain input on how EPA might enhance access to its environmental information. EPA will use the information as it develops a strategy for improving access to EPA information. Isn't campaign money just a loan guaranteed to help debtors on political agendas in the future? The real debt numbers are below the table. Here is the list of top recipients of oil and gas money in the 2008 election cycle. EPA - "Children Act Fast . . . And So Do Poisons"
PHILADELPHIA (March 26, 2008) -- The U.S. Environmental Protection Agency advises parents and caregivers to keep potentially harmful products locked up and in a high cabinet out of the reach of children. Poison Prevention Month is observed each March to increase awareness of the danger to children of accidental poisoning from pesticides and household products. U.S. poison control centers receive a call every 15 seconds about an accidental poisoning. The National Safety Council records show that more than 50 percent of the nearly 2.5 million poisoning incidents each year involve children under six years of age. Most are due to children swallowing common household items like prescription and over-the-counter medications, vitamins, cosmetics, personal care and cleaning products. Poisonings also involve house plants, tobacco products and alcohol. To reduce the number of unintentional poisoning deaths and injuries, EPA recommends that parents keep items in their original containers, leave the original labels on the products, and read labels before use. Bathrooms and kitchens are the areas in the home most likely to have improperly stored hazards. Whenever possible, purchase products with child-resistant safety packaging and keep all household cleaning products and medicines locked up, out of sight and out of reach of young children. Poisonings can occur when adults are distracted for just a few moments by the telephone, the doorbell or other household events, which is why locking up potential hazards is so important. To highlight National Poison Prevention Month, EPA has launched a poison-prevention segment on Green Scene, EPA's new series of environmental videos. During an interview on Green Scene, Assistant Administrator Jim Gulliford, of the Office of Prevention Pesticides and Toxic Substances, discusses how to protect your children from toxic substances around the home and how to respond in case of accidental poisoning. Always store pesticides, household chemicals/cleaners, medications, vitamins, personal care items, including chlorine bleach, out of the children's reach  preferably in a locked cabinet. Read the label first. Pesticide products, household cleaning products, and pet products can be dangerous. If your use of pesticide or other household chemicals is interrupted (perhaps by a phone call), properly reclose the container and remove it from children's reach. Always use household products in child-resistant packaging. Never transfer pesticides or other household chemicals to containers that a children may associate with food or drink (like soda bottles), and never place rodent or insect baits where small children can get to them. When applying insect repellents to children, read all directions first. Do not apply over cuts, wounds, or irritated skin, do not apply to eyes, mouth, hands or directly on the face, and use just enough to cover exposed skin or clothing but do not use under clothing. Act Fast! If you think someone has been poisoned act fast. Don't wait to see what happens, call the National Poison Control Center RIGHT AWAY at 1-800-222-1222. Parents and community organizations can obtain additional prevention materials, including the "Ten Tips to Protect Children from Pesticide and Lead Poisonings" and "Poison Prevention: Read the Label First Community Action Kit" brochures by calling EPA's Environmental Publications line at 1-800-490-9198. If genuine care, sincerity and concern for nature and protecting people was put into two words, they might be "David Suzuki". . Even if he is being paid for it, his lifelong commitment is impressive. A real estate agent once visited me at home and offered to sell my house. I was tempted for about a nanosecond before turning him down cold. The house where I've lived for decades in Vancouver is not just a property to me. My home - especially the backyard - means so much more. The backyard isn't just my own private place of refuge in the summer. It's a sacred place for my family as well. It's where my kids played tag as children and where they now socialize with their friends as adults. It's where my wife and I hold family barbecues and dinners in the summer. And it's where my father-in-law gets down on his hands and knees to pull weeds and tend to the St. John's Wort and tulips. Our pet dog, Huckleberry, was even buried in the backyard when he died. I wouldn't trade any of my memories that have taken place on that small stretch of grass for anything in the world. I know I'm not alone in my passion. Our yards and gardens are a symbolic zone, a private sanctuary. Our public parks are also treasured spaces: they're the public commons where we can throw Frisbees, play volleyball, read a book, or (my favorite) take a nap. There's been a tremendous amount of interest in green spaces recently. And with good reason. Many of the private yards and public parks that we enjoy are coated with toxic chemical pesticides to kill weeds. The problem is that they work too well, and exposure to them can damage our health. In 2003, the Ontario College of Family Physicians published a scientific literature review that showed "consistent links to serious illnesses, such as cancer, reproductive problems and neurological diseases" associated with chronic pesticide exposure. It stands to reason that children and pets are often more exposed since they're the ones most likely to be found rolling playing on the grass during the summer months. Children are also more vulnerable to the health effects of pesticide exposure because their young bodies are still developing. So what exactly are we spraying on our lawns? At least 50 active pesticide ingredients registered for use in Canada have been banned in other countries due to health or environmental concerns. One popular lawn herbicide called "2,4-D", can easily be found in products lining the garden care section of your local hardware store. But don't look for it in Denmark, Norway or Sweden. The herbicide, 2,4-D, is no longer sold in Scandinavia because of health and environmental concerns. Another report, published by my foundation, showed that more than 6,000 cases of acute pesticide poisoning occur in Canada [L1] each year. Even more frightening, half of those poisonings involve children under six. Despite the clear evidence against chemical pesticides, more than 30 per cent of Canadians with gardens still use them. But there is evidence that this practice may be coming to an end. Many cities have passed bylaws banning the use of these lawn and garden pesticides. We can look forward to the day when a neighbor applying these chemicals to their yards will seem as out-of-place as a smoker lighting up a cigarette on a transatlantic flight. That day may be just around the corner - at least in some parts of Canada. In 2003, Quebec banned the use and sale of many lawn pesticides. Now the Ontario government is proposing similar legislation. The Government of PEI also recently held hearings on a potential province-wide ban. Provincial action is important, because while cities and towns can restrict the use of these chemicals on public and private property, provincial governments have the power to ban the sale of cosmetic pesticides. Pulling the prohibited products from store shelves is the best way to make sure they aren't used. I hope that residents across Canada - especially in Ontario and PEI - make their voices heard on this issue. Remembering the great times I've had in my backyard, like watching my kids play, chatting with my father-in-law while he tends the garden, and having friends over for a summer dinner are incredible experiences. I'm sure most Canadians have similar memories that have taken place in their own backyards. We should be able to enjoy these green sanctuaries without worrying about chemicals. And so should our children. The payoff for plug-in hybrids: 95 years? Plug-in hybrids get far better mileage than standard cars or regular hybrids  and emit far less pollution. But they are also tough to justify economically at the moment with existing technology, according to the first several months of data from RechargeIT.org, which is studying how well plug-in hybrids work in real-world circumstances. True, but will anyone talk about it? Further NASA data reflects the REAL environmental influences by satellite (see photo below). Notice the LACK of pollution around the U.S.? It would be nice for the "eco-propaganda" machines to include the "gross" sources of global environmental harm IF they truly want to improve the environment or just Skewing "global warming" information to meet alternative directives. Anything but a return to nuclear power, says an L.A. Times editorial, slamming Gov. Schwarzenegger's recent bullish nuclear comments. Renewables might be the answer to the global resource crunch, suggests Energy Outlook, but that will require a top-down rethink of energy policy. One policy prescription: Forget the "safety valve" on cap-and-trade schemes, argues Earth2Tech. An ejection seat undermines the whole point of pricing carbon. Pain at the pump is the fault of the oilmen in the White House, says a NYT editorial, and drilling in Alaska won't solve the problem. The Economist offers a graphic look at how little pain there really is, comparing gasoline taxes around the world. British prime minister Gordon Brown gears up for a showdown with the European Union over biofuel mandates, after his science adviser sounds the alarm, in the Guardian. Of course, there's always algae: The Energy Blog reports on PetroSun's new 4 million gallon algae-to-oil facility. The Kansas coal spat is an economic no-brainer, argues SolveClimate: Coal-fired plants will cost a lot more than natural gas once climate legislation is in place, and consumers will foot the bill. Coal-to-liquids technology to run vehicles is still a bad idea, even if the Chinese are doing it, in Grist. Even Ralph Nader is even looking good these days. YIKES! Hillary is running off about mountaintop removal and now promising coal plants: Right away I have been advocating that we fund 10 large scale carbon capture and storage projects that will utilize a range of coal types and power plant types and storage locations because it's imperative that we do everything we can to get to a technology that enables us to use clean coal. And so is Obama: We could be investing in renewable sources of energy, and in clean coal technology, and creating up to 5 million new green jobs in the bargain, including new clean coal jobs. And we could be doing it all for the cost of less than a year and a half in Iraq. Haase comment: Tragic that he has better answers than who will win, I just hope they listen to him this time. From "Nader Returns" about his "presidential platform on energy and the environment". answer I'm basically promoting a massive conversion from a hydrocarbon-based economy to a carbohydrate-based economy. I'm not talking about corn ethanol, which has a very poor net energy- and water-usage characteristic. I'm talking about industrial hemp. I'm talking about plant life that can be efficiently converted to fuel -- like sugar cane, agricultural waste, cellulosic grasses, and certain kinds of biomass that can be grown with a spectacular ratio of energy inputs to outputs. I'm talking about a very fundamental remodeling of our economy -- a conversion from industrial-age, 19th-century technologies like the internal combustion engine to renewable, sustainable technologies of efficiency and production. We should have vehicles that get well over 100 miles per gallon. For most of us living in the U.S., water is something we take for granted, available when you turn your tap onto brush your teeth, to take a shower, to wash your car, to water your lawn, and if you have your own swimming pool then, to fill that as well. So it was with alarm that many of us read the story of Orme, a small town tucked away in the mountains of southern Tennessee that has become a recent symbol of the drought in the southeast. Orme has had to literally ration its water use, by collecting water for a few hours every dayan everyday experience in most developing countries, but unusual for the U.S. The Great Lakes should not be likened to a 'reservoir' or characterized as part of the nation's 'water supply,' and here's why. If Great Lakes water is to be shared, conservation must come first -- and the needs of the ecosystem itself need to be considered. But political pressures will soon mount for such sharing in the U.S. ...Whether they like it or not, the new 35-mpg standard should nudge Detroit's Big Three to become more aggressive in pursuing green technologies. But the question remains: Will Americans be willing to pay thousands of dollars extra for these cars? Consider, for example, that Honda scrapped the hybrid version of its Accord because it didn't offer enough fuel savings to justify the premium price that had to be charged for the technology. Similarly, sales of the big hybrid SUVs from GM and Chrysler aren't expected to make much of a dent, perhaps just 5,000 or 6,000 per year, because of their high costs. If U.S. politicians were really serious about improving fuel efficiency, they might follow Europe's example. Thanks to steep excise taxes, prices at the pump in some European countries now top $7 a gallon. That's helped drive demand for smaller, more fuel-efficient vehicles over the long term. But the conventional wisdom is that in America, where driving a car, as well as a pickup and SUV, is seen as an inalienable right, a gas tax, which consumers are reminded of every time they visit the pump, would never fly. Says Chrysler CEO Robert Nardelli: "That, of course, is political suicide." Nationwide, more than 400,000 leaks from underground tanks have been reported and thousands of properties have been tainted by hazardous fuel spills, according to Environmental Data Resources Inc., a research organization based in Milford, Conn.
Last year, the Government Accountability Office  the investigative arm of Congress  reported it would take at least $12 billion to clean up contamination from tens of thousands of tanks nationwide that are leaking underground. Linda Young, director of the Clean Water Network of Florida, an environmental advocacy group, said fuel leaks from underground tanks have been common in Florida. "Some of those have leaked into private wells and drinking water, causing a lot of problems," Young said. Forty-three percent of underground fuel storage tanks in South Florida are out of compliance with a state law requiring gas stations and other owners to upgrade their facilities, a South Florida Sun-Sentinel analysis found. The law approved by the Legislature 18 years ago requires a double-walled system for underground storage tanks by 2009, an upgrade that helps prevent leaks that could contaminate soil and groundwater. Hydrogen car problem: While hydrogen has been lauded as the "energy of the future," this is NOT a short term reality.... Hydrogen is not a great energy carrier. It has a relatively low energy density, it's difficult and dangerous to transport, and finding a way to store it in vehicles has proven difficult (ranges of only 100 miles). The refueling infrastructure is also non-existent. Even more to the point, we haven't yet established a renewable source of energy to produce hydrogen. Possible solution: Weighing less than one pound, the square piece of shiny steel houses an array of microchannels containing patented catalytic sites. Each microtube helps convert a continuous stream of hydrogen from fuels like gasoline, diesel, vegetable oil, biodiesel, propane, natural gas, even the glycerol byproduct from biodiesel manufacturing. Reducing the cost of hydrogen generation: "The smaller system size, reduced catalyst volume, and more efficient process that is realized with InnovaTek's technology represents another significant step in moving the hydrogen economy from science to commercial reality," he said. While InnovTtek's reactor can run on a variety of non-renewable hydrocarbon sources they, like the potentially revolutionary Coskata Biofuels, are expressly interested in sustainable power, even to the point of preferring biodiesel in their test runs. Innovatek also said that biodiesel just plain works better: it contains fewer impurities and reforms at lower temperatures than petrodiesel. Taking all this into consideration, Innovatek's reactor could revolutionize the energy and transportation infrastructure of the country. Protest Puppy World in Greenfield, WI with us! This event is open to the public. Wisconsin is tired of the horrible treatment of dogs living in puppy mills or produced by backyard breeders. We want them to stop breeding to sell to pet stores across the country. This industry is cruel and inhumane. These animals are suffering and we want it to stop. Why shop when you can adopt? Don't support the puppy mill industry, don't shop at Puppy World! Join the fight and protest with us at Puppy World this spring. Pet food contaminated with melamine resulted in the illness or death of at least 4000 cats and dogs. For consumers, retail prices for broiler products is up 10% over the last year. For a company whose revenue in 2007 was $7.6 billion, a rise in costs of $1.3 billion ain't chicken feed. ``Our company and industry are struggling to cope with unprecedented increases in feed-ingredient costs this year due largely to the U.S. government's ill-advised policy of providing generous federal subsidies to corn-based ethanol blenders,'' Chief Executive Officer J. Clint Rivers said in the statement. The price of soybean meal in Chicago rose to $392.90 per 2,000 pounds, the highest since 1973, on March 3 and has gained more than 50 percent in the past year. ``Based on current commodity futures markets, our company's total costs for corn and soybean meal to feed our flocks in fiscal 2008 would be more than $1.3 billion higher than what they were two years ago,'' Rivers said. Officials of both the Canadian and Russian governments in the past six weeks have warned of a coming ice age, where the number of solar flares diminishes to zero and the sun lays quiet. Clearly the sun is the source of all energy on Earth. And so, how brightly the sun shines is the key element. It burns irregularly, throwing off huge amounts of radioactive materials at times, and other times it lays quiet. And which side of the sun that is facing Earth at the time of these events has a lot to do with the energy received on Earth. All of these factors control the climate on Earth. "I believe that Western states and Eastern states have not been talking to each other when it comes to proper use of our water resources...States like Wisconsin are awash in water." And how did Wisconsin respond? Essentially by saying "Take it, Bill" by screwing up on the Great Lakes Compact. One of the very first acts performed by David Paterson as Governor of New York was to sign a law enacting the Great Lakes Compact, an agreement among all of the States and Canadian Provinces around the Great Lakes to protect the lakes from pollution, invasive species and covetous neighbors. To make a bad pun, it is a watershed agreement, an international coalition to protect one of the world's great resources. Except it has to be approved unanimously and Republican politicians in Wisconsin are playing games, sacrificing one of their greatest assets on the altar of cheesy politics. They don't like co-operating with neighbors- one state senator wrote "To relinquish our sovereignty to a regional body of governors that can make changes after the compact is adopted is unacceptable. Where else do we have a dictatorial or totalitarian form of government where we give up our decision-making authority? I do not support a document that relinquishes our sovereignty to another state"
As one writer to the Sheboygan Press wrote about the Republican controlled assembly: [they] "push simple-minded hot buttons, spout hollow slogans, and protect the wealthy." ... wastes stored in underground tanks at the Hanford Nuclear Reservation are so dangerous that their fumes give people headaches, nosebleeds and sore throats and make them nauseated. WASHINGTON, DC Free and green. Those are the goals of a pilot program launched today by the U.S. Postal Service that allows customers to recycle small electronics and inkjet cartridges by mailing them free of charge. The "Mail Back" program helps consumers make more environmentally friendly choices, making it easier for customers to discard used or obsolete small electronics in an environmentally responsible way. Customers use free envelopes found in 1,500 Post Offices to mail back inkjet cartridges, PDAs, Blackberries, digital cameras, iPods and MP3 players  without having to pay for postage. "As one of the nation's leading corporate citizens, the Postal Service is committed to environmental stewardship," Bizzotto said. "This program is one more way the Postal Service is empowering consumers to go green." The free, postage-paid Mail Back envelopes can be found on displays in Post Office lobbies. There is no limit to the number of envelopes customers may take. "We know our customers are interested in real solutions for proper disposal of personal electronics," Bizzotto said. "Everyone from consumers to businesses to non-profit organizations use the mail, and the Postal Service works to manage resources wisely to minimize environmental impact." 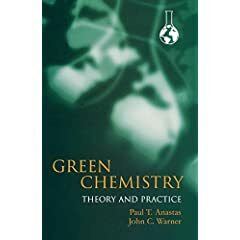 Green Chemistry is a revolutionary philosophy that seeks to unite government, academic and industrial communities by placing more focus on environmental impacts at the earliest stage of innovation and invention. This approach requires an open and interdisciplinary view of material and product design, applying the principle that it is better to consider waste prevention options during the design and development phase, rather than disposing or treating waste after a process or material has been developed. Environmentally benign alternatives to current materials and technologies must be systematically introduced across all types of manufacturing to promote a more environmental and economically sustainable future. Environmentally benign alternative technologies have been proven to be economically superior and function as well or better than more toxic traditional options. When hazardous materials are removed from processes, all hazard-related costs are removed as well, significantly reducing hazardous materials handling, transportation, disposal and compliance concerns. Given a choice between traditional options and green solutions, business leaders choose responsibly. Unfortunately, there is a significant shortage of more responsible green alternatives. Scientists and non-scientists alike can begin to address this technological gap by recognizing the interconnectivity between the construction of materials and environmental protection. There is tremendous untapped opportunity for ingenuity and reward at the chemical design stage; this is the central concern of Green Chemistry. From "What is Green Chemistry?" Last weekend the Italian village of Torraca proclaimed itself the world’s first “LED city”, unveiling new streetlights that emit a bright, white and ecologically green glow. 700 hundred street lamps were installed, each lamp contains 54 LEDs. LED lights are combined with photovoltaic cells (solar batteries), which makes the city energy self sustained. LED lights are 80% more efficient, than incandescent bulbs. This allowed dramatically reduce total area of expensive solar panels. Torraca’s street lights utilize Cree XR-E LEDs with brightness of up to 104 lm/W (Q4 bin). Some resources refer to it as the “brightest LED on the market”. This is not quite true. Luxeon Rebel LXML-PWC1-0100 also provide 100 lm/W, while priced about 20% cheaper. Installation was performed by Gebison Electronics ( Filadelfio Cammarano). The Photovoltaic Plant project has been developed by Luigi Pascuzzi. Torraca’s new lights should earn the town a place in history, alongside Holborn Viaduct in London, where the first electric streetlights were deployed in 1878. Gregory Jaczko, a member of the Nuclear Regulatory Commission (NRC), went to London last week to say the obvious about federal loan guarantees, something he should be saying here in the states. What he said was that the U.S. government's $18.5 billion in loan guarantees falls short of the $500 billion needed to build the country's next generation of nuclear power plants. Referring to the $18.5 billion in loan guarantees authorized last year Jaczko said, "It's a far cry from what's needed. Congress is supportive, but have decided not to provide more federal loan guarantees - there's a disconnect there, so financing would have to happen without federal loan guarantees. " To date, the NRC has received five complete applications and one partial application for licenses to operate and construct a nuclear power plant. The agency expects to receive 17 applications for 30 nuclear power reactors with around 45 GW of capacity over the next two to three years. It's not yet clear how many licenses will be approved. Some will fail the "baloney test" and never make it to an NRC licensing hearing. Jaczko said around 50 new nuclear reactors would be needed to replace the country's aging plants and keep the amount of electricity produced from nuclear steady at 20%. What he didn't say, but should have, is that we'll need another 50 to make any impact at all on swapping out fossil fuel generated greenhouse gases for zero emission nuclear energy. "That first wave of new nuclear would need assistance as there's no commercially available financing now because of the uncertainties and because it's been 30 years since one was built." "But once we demonstrate that, we should be able to finance the next wave with commercial loans," Wallace told Dow Jones Newswires. The NYT article is notable for several quotes. "How much review is enough?" Dr. De Rosa asked in an interview. "If you get caught up in analysis paralysis, you never get anything out." But Dr. Falk, of the disease centers, said the report's implication that pollutants had led to a significant increase in health problems was not warranted. "It leaves a lot of room for conjecture and speculation about potential associations that could be misinterpreted," he said. Hope for Water Protection Compact in Wisconsin"
If state legislators can find a way to agree on a version of the proposed Great Lakes Compact, Gov. Jim Doyle has indicated he will call a special session to allow for action on the plan. "The governor plans to keep pushing legislators to take it up, " said Carla Vigue, a spokeswoman for Doyle. "He would call a special session if there is some indication that legislators would actually bring it to a vote on the floor. " There is no way to change the one-state veto without killing the compact -- and the one-state veto exists under current federal law. So any compromise is either window dressing or will fatally undermine Wisconsin hopes to divert water. Read more at "hope for compact in Wisconsin" From David Dempsey. The "Kiss Me, I Recycle" story links to a helpful can and bottle recycling guide on GreenGuardian.com. The guide not only tells you what and how to recycle (which is strictly speaking, not pollution prevention since it's an "end of the pipe" sort of activity) but also highlights the energy savings associated with recycling, as well as the reduction in greenhouse gas emissions, air and water pollution, and water consumption that result from recycling containers as opposed to throwing them in the trashall of which are important environmental benefits that are certainly complimentary to P2 activities. (Washington, D.C. - March 14, 2008) New tough emissions standards will slash pollution from locomotive and marine diesel engines by up to 90 percent, helping Americans to breathe cleaner air as soon as this year. "Today EPA is fitting another important piece into the clean diesel puzzle by cleaning emissions from our trains and boats," said EPA Administrator Stephen L. Johnson. "As more and more goods flow through our ports and railways, EPA is cutting diesel emissions at their source  keeping our nation on track toward a clean, healthy, productive tomorrow." When fully implemented, these new standards will reduce soot or particulate matter (PM) by 90 percent or 27,000 tons and reduce nitrogen oxides emissions (NOx) by 80 percent or nearly 800,000 tons. Nationwide this regulation will help prevent 1,400 premature deaths, and 120,000 lost workdays annually in 2030. The estimated annual health benefits are valued between $8.4 billion and $12 billion. When these older locomotive and marine engines reach the end of their useful life, and new engines enter into the nation's diesel fleet, the benefits of today's action will increase. Today's action is another achievement in EPA's efforts to reduce pollution from diesel engines. This new rule complements the Clean Air Nonroad Diesel Rule and the Clean Air Diesel Truck and Bus Rule, currently underway nationwide. Background about "Pharmaceuticals and Personal Care Products as Pollutants (PPCPs) [which] refers, in general, to any product used by individuals for personal health or cosmetic reasons or used by agribusiness to enhance growth or health of livestock." Covers PPCP sources, where PPCPs are found ("any water body influenced by raw or treated sewage, including rivers, streams, ground water, coastal marine environments, and many drinking water sources"), and related topics. From the U.S. Environmental Protection Agency. here and the text of the letter provided below. water is in fact safe to drink and that there is no immediate health risk. take the necessary steps to ensure the public trust." Hooray for my day job! The House approved legislation by voice vote on Sept. 4 that would establish a federal interagency program and boost government funding for research into environmentally friendly alternatives to many traditional chemical products and manufacturing processes. "Preventing pollution and hazardous waste from the start of a design process is far preferable to cleaning up that pollution and waste at a later date," says Rep. Phil Gingrey (R-Ga.), chief sponsor of the Green Chemistry Research & Development Act of 2007 (H.R. 2850). The legislation establishes a program that promotes and coordinates green chemistry R&D activities within four federal science agencies. It authorizes a total of $165 million in funding for R&D grants over the next three fiscal years, split among the NSF, the EPA, the National Institute of Standards & Technology, and the Department of Energy..
"From reducing and improving pharmaceutical processes, reinventing the home and construction business, to overcoming our climate and energy challenges, green chemistry is proving that economics and environment are not mutually exclusive," Hunt adds. MORE CHEMICAL makers are submitting less information to EPA about their releases of toxic substances, according to data the agency has provided to C&EN. EPA says a key regulatory change has meant that more companies are filing less information. In late 2006, the agency made a change to requirements for Toxics Release Inventory (TRI) reports. The modification allowed more facilities to use a shortened form when filing annual TRI reports (C&EN, Jan. 1, 2007, page 10). The long form asks for the volume of the substance released and whether the chemical is released to air, water, or land; the short one does not require either piece of information. For all industries, use of the TRI short form in 2006 was up 13% over 2005, according to the agency. The rule change, championed by the Bush Administration, has drawn ire from Congress and environmental groups, who say it will reduce the amount of information available to the public about releases of chemicals. The Government Accountability Office determined that the rule change will cause the public to lose a substantial amount of information about chemical releases although facilities filing TRI reports will, on average, save only $900 a year (C&EN, Feb. 12, 2007, page 58). "It is reasonable to assume that some of this change [in reporting] occurred as a result of the rule" allowing the use of the short form for releases or disposal of less than 2,000 lb of any chemical listed on TRI, the agency says in a statement. Previously, facilities could use the short form only if they released or disposed of less than 500 lb per year of a listed substance.." Facilities could have lowered their releases to have qualified to use the shorter form, the agency says.